The sizzling new beginnings of all our favorite fall shows (Gossip Girl, Glee, Bones, you name it!). The creepy Season 1 finale to the promising new show The Hard Times of RJ Berger. The many fun ways to celebrate Talk Like A Pirate Day every September 19th! The use of Youtube as a means of self-expression in college applications. The same old cliche essay topics we turn to in our times of need. 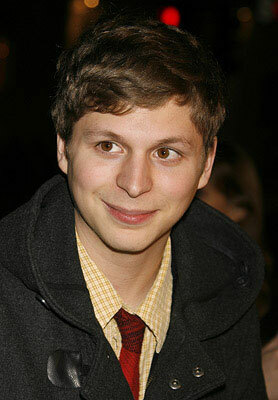 The Michael Cera School of Acting. Cherished books from your childhood being turned into (positively received) movies. The constant flood of movies about a gawky teenager trying to lose his virginity, with the help of his less likable and even more awkward best friend. Passing all of your exams at school. Failing your drug test straight out of rehab. Katy Perry defying her age with her new boyfriend, Elmo. Justin Bieber defying his age with Hooters girls. 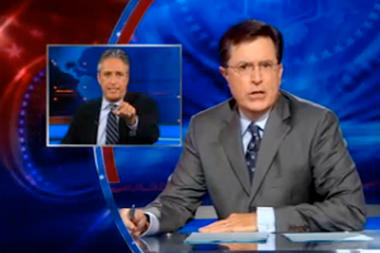 Jon Stewart’s Rally to Restore Sanity, coupled with Stephen Colbert’s March to Keep Fear Alive. The fact that we need to restore sanity in the first place! Becoming another year older and wiser! Sharing that birthday with Heidi Montag! The power of a firm handshake. So, what do you guys think is hot/not this month? I’m glad to hear it! I wish I lived closer to DC so I could go!